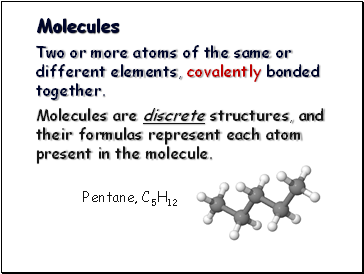 Two or more atoms of the same or different elements, covalently bonded together. 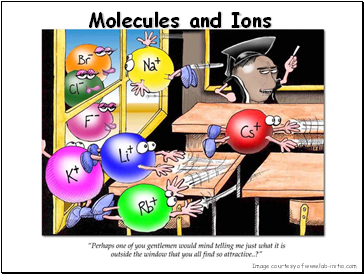 Molecules are discrete structures, and their formulas represent each atom present in the molecule. 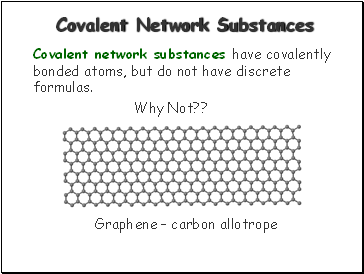 Covalent network substances have covalently bonded atoms, but do not have discrete formulas. 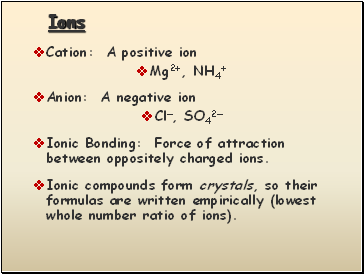 Ionic Bonding: Force of attraction between oppositely charged ions. 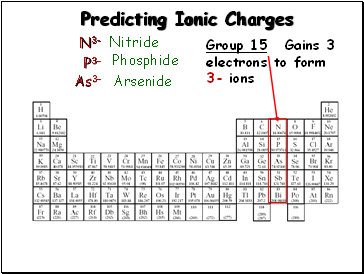 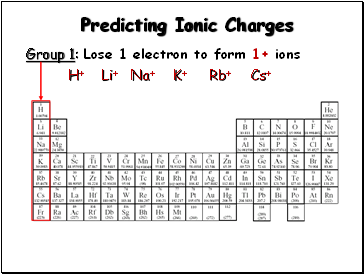 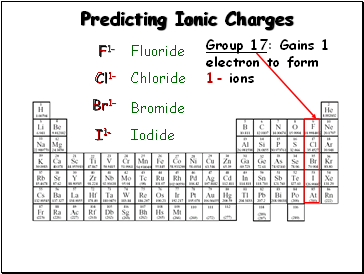 Ionic compounds form crystals, so their formulas are written empirically (lowest whole number ratio of ions). 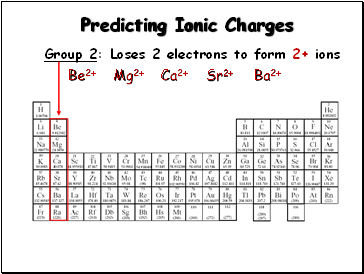 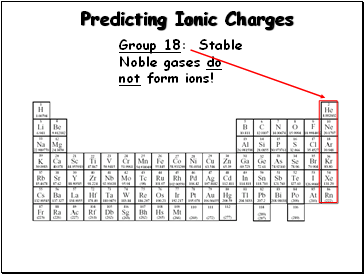 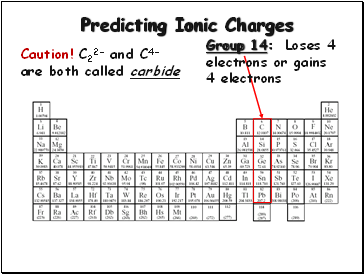 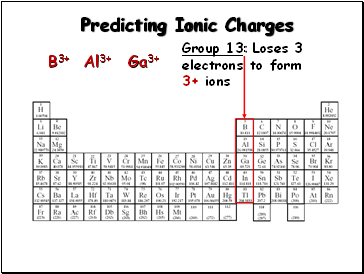 Group 18: Stable Noble gases do not form ions!